This post is simply to highlight one fact about the ‘One Stan Petrov’ banner, that the club have banned from use during the one-minute applause on the 19 minute mark at Villa Park (due to nine complaints). 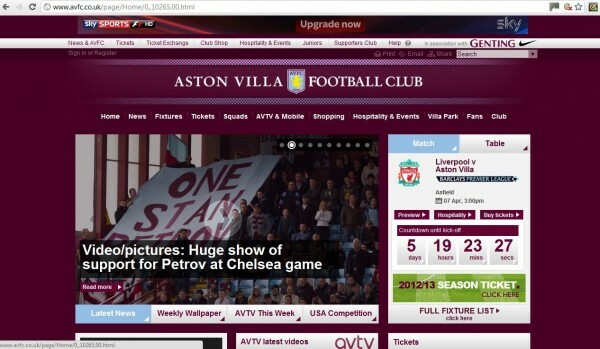 What seems to be conveniently forgotten by those at the club who made the decision, is it is the very same banner that the club’s marketing department used in the Villa program and on their website last season, as the main picture to symbolise the support of the club and supporters to Stiliyan Petrov. That is all. Please continue to sign the petition to the right of this page to show support of flying the ‘One Stan Petrov’ banner despite the ban of its usage. We have over 610 signatures so far.